I know this is an older cover image, but I love this one. Get ready to have your Oakland rocked. On December 16th, Tori Amos will be stopping by Oakland during her “Night of Hunters” tour. The event will be at Oakland’s Paramount Theatre. There are only two artists that I have seen in concert more than once and Tori Amos is one of them. Tori is a bundle of beautiful music, piano seduction, siren singing and overtly sexual pheromones. She has a new album coming out later this year, also called Night of Hunters. Cyndi Lauper. The name brings back so many memories. From my high school days as an awkward kid that decided to mimic her hair style (checker board, orange and yellow) to my first concert in California. I have looked up to Cyndi Lauper as an idol for many years. She is a strong person with compassion. She is quirky, fun and serious all at once. She loves her fans and proves it at her concerts. Do you enjoy great music and a fun night out with friends? Some of my friends are spinning great tunes down at White Horse on the first Saturday of every month. DJs Starr, Lifeline and Daniel Skellington will be rocking the dance floor while the White Horse staff mixes up great drinks. The staff is friendly and the drinks are strong. What more could you ask for? via Club Drama: Now @ White Horse | Queer Oakland. Gay men the world over are going to be bursting at the seams. 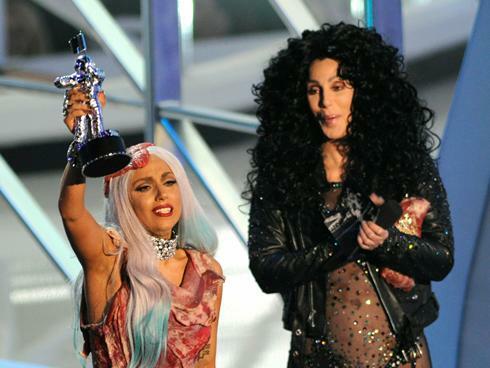 If you mention Lady Gaga or Cher, we go crazy (well, some of us do). What would you do if I mentioned both of those girls in the same song? What’s that? Did you just drop your drink and spit vodka out of your nose? I thought so.